Featuring analyst insights, expert recommendations and practical advice for selecting and deploying a next-generation solution, this comprehensive and unbiased buyers' guide is required reading for any merchant who seeks to catapult their retail operations, regardless of size or category, to the next level of efficiency, effectiveness and profitability. What key concepts should merchants keep in mind as they look to upgrade their retail technology capabilities? What buying considerations and evaluation criteria should influence the purchase decision? How can they maximize the value of the investment? 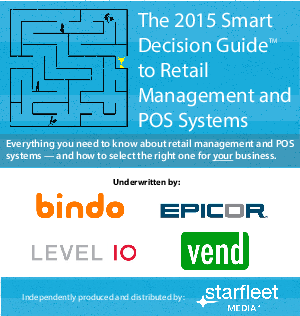 Written by industry experts, The 2015 Smart Decision Guide to Retail Management and POS Systems addresses these and many other questions, helping prospective buyers make the right decisions.